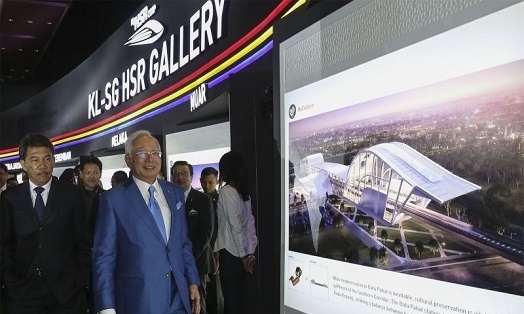 SINGAPORE, Jan 31 — Malaysia has remitted the payment for abortive costs incurred by the republic for suspending the Kuala Lumpur-Singapore High Speed Rail (HSR) Project, according to Singapore’s Ministry of Transport. In a statement here, the ministry’s spokesperson said the republic has “received confirmation from the Government of Malaysia through diplomatic correspondence” about the remittance. On September 5, 2018, Singapore agreed to suspend construction of the project until the end of May 2020. Following Malaysia’s request for the deferment of the project, the government has agreed to pay an abortive cost of S$15 million (RM45.6 million) to the Singapore government by January 31, 2019. A legal document was exchanged in Putrajaya between the two countries to vary the HSR Bilateral Agreement based on the new understanding.